Pine Grove Lighting and Electrical Supply is a family owned business established in 1989. Since its inception, Pine Grove has grown into the largest stocking showroom in the Gulf South. We stock fixtures of every variety and style from the most elegant crystal chandeliers to very clean contemporary pieces. Visit our showroom for the best lighting selections for any building allowance or budget. We also display and stock a large selection of gas lanterns, lamps, mirrors, and accessories. We guarantee the best selection, service and overall experience here at Pine Grove. We encourage anyone selecting a whole house to make an appointment so we will have a salesperson waiting on your arrival. Come see what we have to offer! Residential and Commercial Lighting Specialists. Let LUME help create the perfect space in your home or office with illumination inspiration. 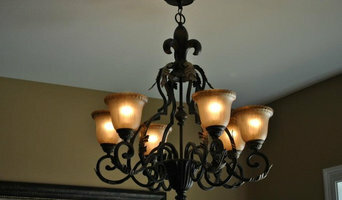 St Charles Lighting has been serving the New Orleans and Houma areas since 1997. In our showroom we display an extensive selection of interior and exterior lighting including chandeliers, fans, vanity lighting, gas lanterns, door and cabinet hardware, lamps, home decor, and bathroom vanity furniture. We strive to set ourselves apart from our competition by providing great pricing and excellent customer service. We work hard to make sure that our pricing is competitive with the large home improvement centers and we offer free delivery on all orders. We are conveniently located in St. Charles Parish on Highway 90, 3 miles west of I-310, centrally located between New Orleans and Houma. We carry lines from Quorum, Murray Feiss, Elk Lighting, Craftmade, Fanimation, Capital Lighting, Kichler, Nora, Nuvo, Primo, and many more. Fischer-Gambino of New Orleans is proud to present our online store. In response to numerous requests from you, our valued customer, we have put various items from our two stores on this website. You'll find this site filled with items for your home, collectibles, jewelry, designer one-of-a-kind pieces, original artwear, and, of course, a taste of New Orleans. We feel this site has captured the essence of our Rue Royal location and will bring Fischer Gambino right into your home. Continuing in our tradition in quality and service we will be glad to answer any questions you may have about these items or others we have available to you. Just use our easy toll free number at the bottom of each page any time between 9:30 am-6:30pm CST seven days a week. We hope you enjoy our new website. Sit back, relax, and do some arm-chair shopping. We are not just another online lantern dealer – selling lights that other people build. We build our own gas lanterns by hand, in our shop, with craftsmen who have years of experience creating these copper works of art. As native residents of New Orleans we understand the look and feel of our historic city. We use this experience to design and build the finest New Orleans style gas lanterns you will find anywhere. Our designs reflect the broad diversity of this region as well as the many influences of the people that live here. You see these styles in the many different types of lanterns we build from scratch in our workshop. As a manufacturer we are continually adding new styles of lanterns as well as building custom lanterns for our clients and friends who have something special in mind. The style and type of lantern we can build is limited only by your imagination so please contact us if you have something unique in mind – we can build it. We have been serving our local community and surrounding areas for over 18 years as a family owned and operated company. We have knowledgeable sales staff to help you make the right selections for all your needs. Customer service is what sets us apart from the rest. We look forward to your visit to our showroom. We service contractors and homeowners! Building a house? 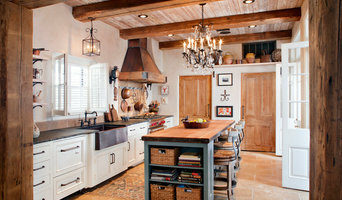 Bring your house plans to us and let us help you custom design your lighting, cabinets and even home décor. Contractors we offer whole house lighting packages to fit within your customer’s budget! Manhattan Project Design Shop is a Philadelphia-based lighting and design company founded in New York City in 2011. We design and manufacture a curated selection of industrial and custom lighting fixtures and provide design and interior project management services. Founder and designer, Dennis Murphy, received his Bachelor of Architecture degree from the Cooper Union School of Architecture before working in public-sector design as a liaison at the New York City Department of Design and Construction. Our first lighting designs were the result of necessity, illuminating a north Brooklyn apartment that didn't have a single light socket. We follow Andy Warhol's maxim "making money is art, and working is art, and good business is the best art." Jack's Metal Arts is the oldest company that hand makes every one of their copper lanterns and every one of their wrought iron brackets in New Orleans. We assemble them with solid copper rivets the way the official New Orleans post lamps were made since about 1935. We offer features like full inset door frames and better steel in the brackets. Leger Electric, LLC has been serving customers since 2002. The company was founded on the principle of providing the best service to meet our customer’s needs. We have provided superior service to our residential customers, commercial customers, property managers, and warranty companies. The owners are a dynamic husband and wife team with over 20 years of experience in the electrical field, 15 years of management experience, and over 30 years of experience in providing customer service. Think about how you plan to use each area of your Saint Benedict, LA home. It's important to communicate to your Louisiana lighting designer which space will be used as an office and which will be a media room, for example, as these will require very different lighting methods. In addition, consider how you'd prefer to control the lights. Lighting technology today includes dimmers, sensors, photocells (that let lights react to the amount of daylight in a space), programmable scene controls (that let you program different settings for varied lighting) and whole-house lighting controls (that let you control all or a portion of your home's lights from one source), allowing you to tailor your lighting controls however you wish. Find a lighting designer on Houzz. Narrow your search in the Professionals section of the website to Saint Benedict, LA lighting designer. You can also look through Saint Benedict, LA photos by style to find a lighting design you like, then contact the designer.